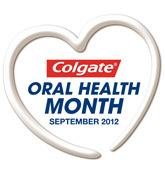 This September is Colgate Oral Health Month, with the British Dental Association (BDA) and Colgate partnering to raise awareness of oral health as part of everyone's overall health. Colgate Oral Health Month aims to inform and remind people of the importance of good oral health and to encourage communication between dental professionals and patients. At Longborough we are always focused on the importance of good oral hygiene and offer advice and guidance through our dentists and hygienists.